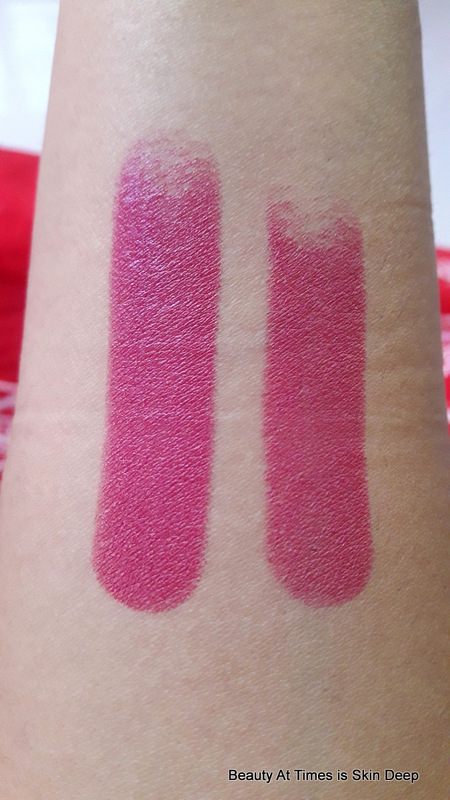 By Simantini: Before I shall even review the lipstick, I will admit that I am in absolute love with this particular shade of Elle 18 Color Pops Matte series. That done, let's begin with the review! Colour - This one is a subdued pink with a cool tone and a hint of brown. The colour is great for all sorts of skin tone, and great for formal events as it is not too bright or in-your-face. Smell - Faint scent of regular cosmetic products. Nothing that should irritate you. 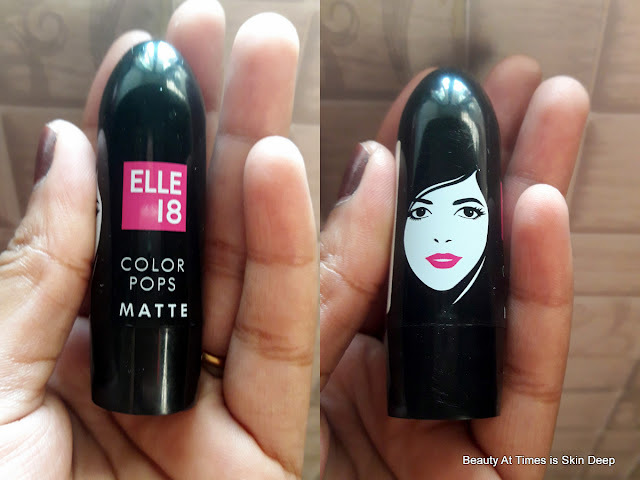 Packaging - The standard Elle18 packaging has been continued in this Matte range as well. The body is a round one, and is of black plastic. 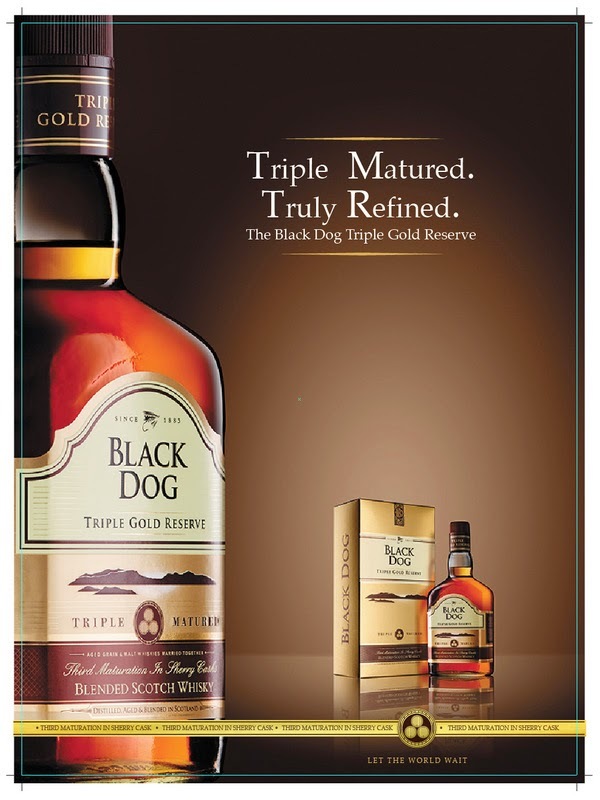 Though I would like the ingredients list to be mentioned on the cover. Experience - I have been using quite a few lipsticks from the Elle 18 Color Pops Matte range these days, and this is one of my favourites in terms of colour and staying power. This shade, though not completely matte, is better than some of the shades which cannot be mattified at all. It stays for 3-4 hours even after drinking tea or water and having snacks. 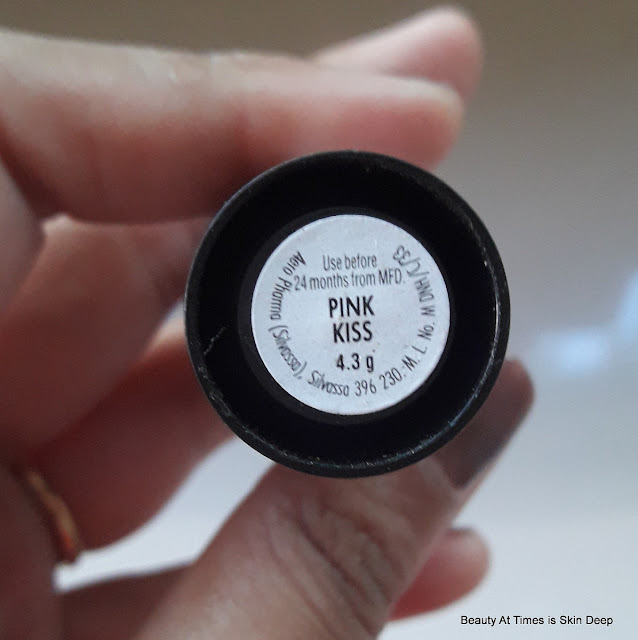 It is even good for moisturising the lips as it stays for a long time on the lips, and also is quite creamy. It gets the points for its colour and moisturising abilities. I wish it was a more matte lipstick though. Yes, I shall. The colour is lovely and unique, and the staying power is quite good as well. Yes, I shall. If you are fond of sober yet colourful lipsticks, this is a good option. And, it's just 100 bucks!